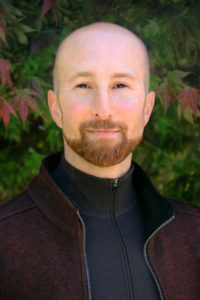 Nick Atlas, Ph.D., E-RYT 500 is a light-hearted, grounded and accessible instructor specializing in integrative approaches to sleep, dreams, deep relaxation and stress reduction. The Director of Evolutionary Education® and 200-hr Yoga Psychology Teacher Trainings, Dr. Nick is also an Adjunct Professor of Psychology at Atlantic University and conducts cutting-edge research on Yoga Nidra and lucid dreaming. He has been practicing and teaching various forms of yoga, qigong, meditation, dreamwork & expressive arts since 1998. For more info, find him on Facebook and visit www.evolutionaryeducation.org.